The Danes pulled the rabbit out of the hat with another wonderful IFR. The weather and after-hours entertainments were absolutely wonderful, did I mention the beer?! 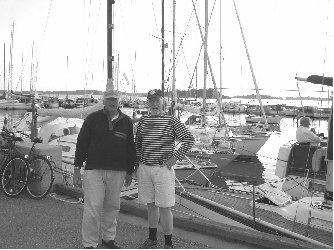 Being a wimp, I had decided to travel to Copenhagen by plane and then sail from there to Ega in a friends yacht. I know this is not the done thing but I cannot afford three � four weeks sailing to the IFR, one week at the IFR and three � four weeks sailing back, a total of six � eight weeks! We left Sejero the following morning, again in bright sunshine and a fair wind. This really was idyllic sailing. 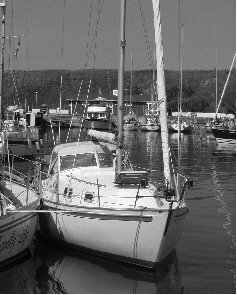 To be able to wake up and decide when you are going to sail rather than the tide telling you when to sail is glorious, if only the season was a wee bit longer in The Baltic I think I would keep my Vega there! We made our way towards the lovely island of Samso which was fairly straightforward until we reached the entrance channel to Langor. This was about five miles of twisting and turning around outcrops, sunken banks, small islands and sand bars until we reached the entrance of Langor. Again this was a beautiful small yacht harbour that was absolutely packed but there always seemed to be just one more space. It was only a short trip and enabled us to walk around the bay and see the birdlife and lifestyle of the inhabitants. Beer was consumed; food was eaten (including the delicious local New Potatoes). (Day Four - 17.4 Nautical Miles).